Oliver Percovich first skated in an empty pool at the age of six, while growing up in Papua New Guinea. 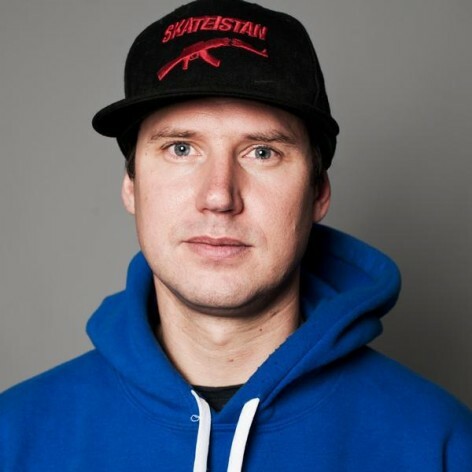 In 1995 he competed in the Mystic Cup, an international skateboarding contest in Prague. Prior to a life-changing move to Kabul, Oliver worked at the Centre for Risk and Community Safety on emergency management projects for various Australian government departments. In 2007 Oliver moved to Afghanistan from Australia when his girlfriend took a job in Kabul. Bored, he would skate the beleaguered city, and became a sort of pied half-piper, attracting street kids who would follow him around and ask for rides. Shortly after, Oliver founded Skateistan, a grassroots &apos;Sport for Development&apos; project on the streets of Kabul. Today, Skateistan has more than 50 employees worldwide and is an award-winning international organisation with projects in Afghanistan, Cambodia and South Africa. The organisation is the first international development initiative to combine skateboarding with educational outcomes. Skateistan is non-political, independent, and inclusive of all ethnicities, religions and social backgrounds, offering both skating and general education classes for over 1000 boys and girls each week.